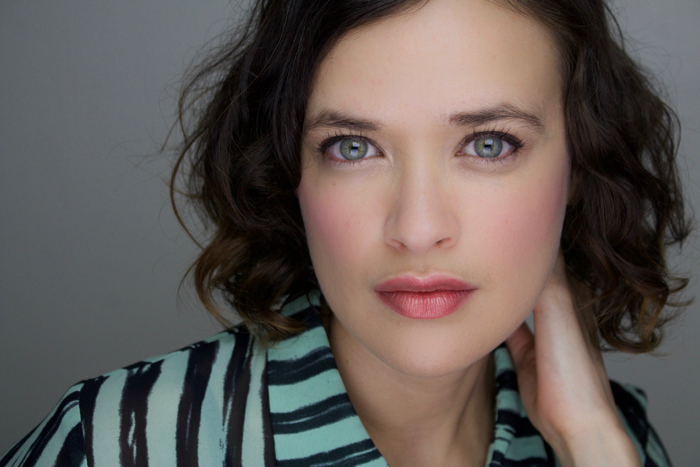 Announcing Brina Palencia as our fifth North American guest! In the land of gaming, she can be heard as Mad Moxxi in Borderlands and Tales From the Borderlands, Paige in Telltale’s The Walking Dead: Michonne, Elle in Tales of Xillia, Mellka in Battleborn, Rayfa in Phoenix Wright: Ace Attorney, Cupid in SMITE, Gerda in Comic Jumper, Moogle in Final Fantasy Fables, and various characters in The Walking Dead: Survival Instinct, Duke Nukem Forever, Guitar Hero III and IV, Stunt Driver 2, and Street Fighter 4. She also served as the Music Director for Space Dandy, Show By Rock, Negima! ?, My Bride is a Mermaid, Rosario+Vampire, and Dragon Ball Kai. Brina can also be seen in several indie films and writing music on Instagram @brinakins.